Navigation Page Click Here: Easier navigation for those of you using cell phones and tablets. Instruction on the correct skill procedures and instruction (including animations) on how to use the exam software. Get more information here. This is a great way to begin training new employees. This is a complete plan that will make your trainer's job much easier. Get more information here. This is a way to get new hires productive right away. More info here. COT® Certification Exam Prep Course... with 12 CE credits. "I passed the written part of my COT today. Thanks!! Your course was awesome and super helpful!!" MM"
"I received my COT certificate this past week. I really depended on the Eyetec courses to prepare. It seemed impossible when I used several text books to study from. It was a frustrating endless circle for me. The Eyetec courses were exactly what I needed. Thanks!" COMT® Certification Exam Prep Course... with 12 CE credits. This is the only JCAHPO certification that does not have pre-requisites. More information here. Eyetec.net is dedicated to advancing the careers of ophthalmic medical personnel. We do this by providing effective certification exam prep courses, continuing education courses, and basic and advanced eye tech training for ophthalmic assistants, ophthalmic technicians, and ophthalmic technologists. Our focus is on moving personnel to the next level of certification. Our continuing education courses are all relevant to exam content. Our certification exam prep courses are cost effective and time efficient, and they work. Ophthalmic employment surveys over the past 20 years have shown that moving to the next level of certification increases your knowledge, increases job satisfaction, increases respect from those you work with and work for, and increases your compensation. Who doesn’t want that? Continuing Education Courses, easy procedure, inexpensive ($10): 1. Read the course. 2. Take the post-test. 3. Print certificate. Inexpensive continuing education courses for the COA®, COT®, COMT®, and CRA, only $10 per CE credit. 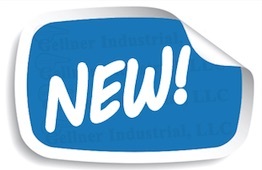 Go to the course catalog after login. Don’t know what a certified ophthalmic assistant (COA®) or technician (COT®) is? Get more information here. Read below for information on the Certified Ophthalmic Assistant (COA®) Exam Prep Course and the Certified Ophthalmic Technician (COT®) Exam Prep Course. Now Available – the Certified Ophthalmic Medical Technologist (COMT®) Exam Prep Course. Information on the JCAHPO Learning Systems CD. I just wanted to let you all know at eyetec how much I appreciate your online instruction and modules. I recently passed my COT® exam on the first try, and eyetec.net was one of the major sources of material I used to study for the exam. Once I pass the COT® skills exam, you can be assured that eyetec.net will be the first source I go to to get my future continuing education credits. 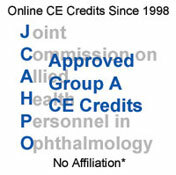 Certified paraoptometrics (CPO), certified paraoptometric assistants (CPOA), and certified paraoptometric technicians (CPOT) can now use up to 9 JCAHPO approved CE credits toward certification and recertification. More information here. If you are a COA®, you can’t afford not to take our Certified Ophthalmic Technician Exam Prep Course. Studying for the COT® certification exam has never been more “user friendly”. Aren’t the COT® exam content areas complicated, you may be asking? And what about the switchover from the old exam material to the new exam material? Eyetec.net has done all the heavy lifting for you. We have been in the ophthalmic certification exam prep course business for over 15 years. We don’t just set it and forget it. 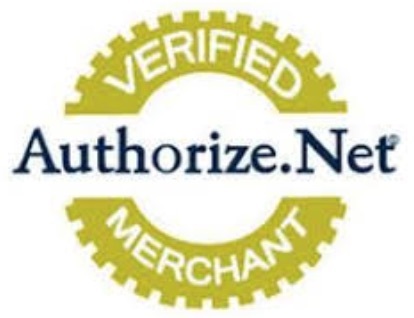 We are constantly tweaking the process to provide a service that saves you time, saves you money, and gets you to certified status. You need to move to the next level of certification, but you're not sure you want to commit. Take advantage of our UFO (unbelievably fantastic offer). JCAHPO® requires COA®s to have 12 CE credits in the 12 months prior to taking the COT® exam, and you need CE credits anyway. The prep course comes with those 12 CE credits that you need ($120 value). So, you are really getting the prep course as a bonus. Click the link below to find out about the "no pressure" approach. Get more info and plan your strategy…. Read more about the COA Exam Prep Course…..